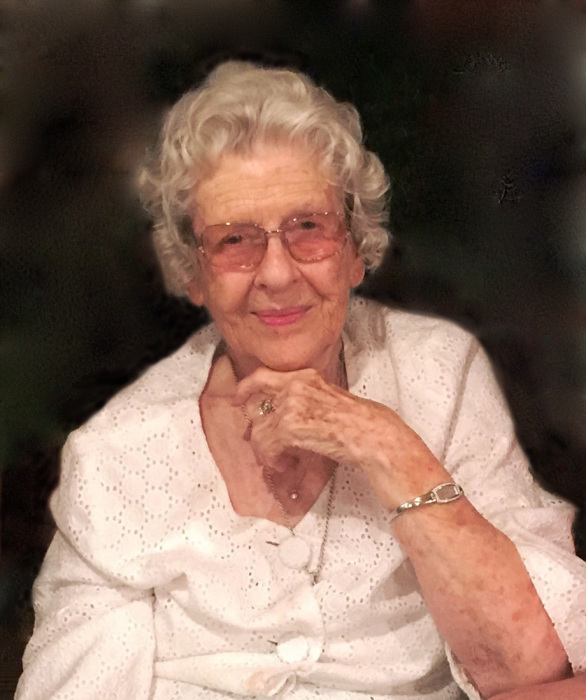 Mrs. Tillie Walker Paul Thornburg, 95, passed away Wednesday morning, December 5, 2018 at her home in Siler City, NC. A Beaufort County native, “Miss Tillie” was born November 27, 1923 in Little Washington, NC, to the late Oscar Tillman Paul and Nona Delilah Walker. This devoted wife, loving mother and adoring grandmother was well known for her kind heart and gentle spirit. Tillie enjoyed her many afternoon Bridge games with her good friends. She was a true southern lady from a bygone era and had a genuine interest in the lives of all she met. She and William Hugh Thornburg were married for nearly 65 years, until his passing in 2012. Tillie is survived by her three daughters, Cynthia T. Hughes of Siler City, Terri T. Leith of Raleigh and Lois Elaine Thornburg of Wilmington; her grandchildren, David Brewer Hughes (Kimberly), Candace Hughes Thomas (Bob), Allison Hughes Kuglitsch (Ryan), Darcy L. Weaver (Chris), Aaron Johnson, and Ava Johnson; her great-grandchildren, David Brewer Hughes, Jr. (Kayeleigh), Zackery C. Hughes (Megan), Jackson Weaver, Rusty Kuglitsch, Rosie Kuglitsch, Haylee Kuglitsch, Johnathan Thomas and Jake Thomas; her great-great-grandson, Kohen Hughes; along with numerous nieces and nephews. In addition to her husband and parents, Tillie was preceded in death by her great-grandson, Andrew “Drew” Davis Hughes. A service to honor the life and memory of Tillie Walker Paul Thornburg will be held 1:00 PM, Friday, December 14, 2018, at First United Methodist Church - 1101 W Raleigh St, Siler City, NC 27344. Burial will follow at Oakwood Cemetery.